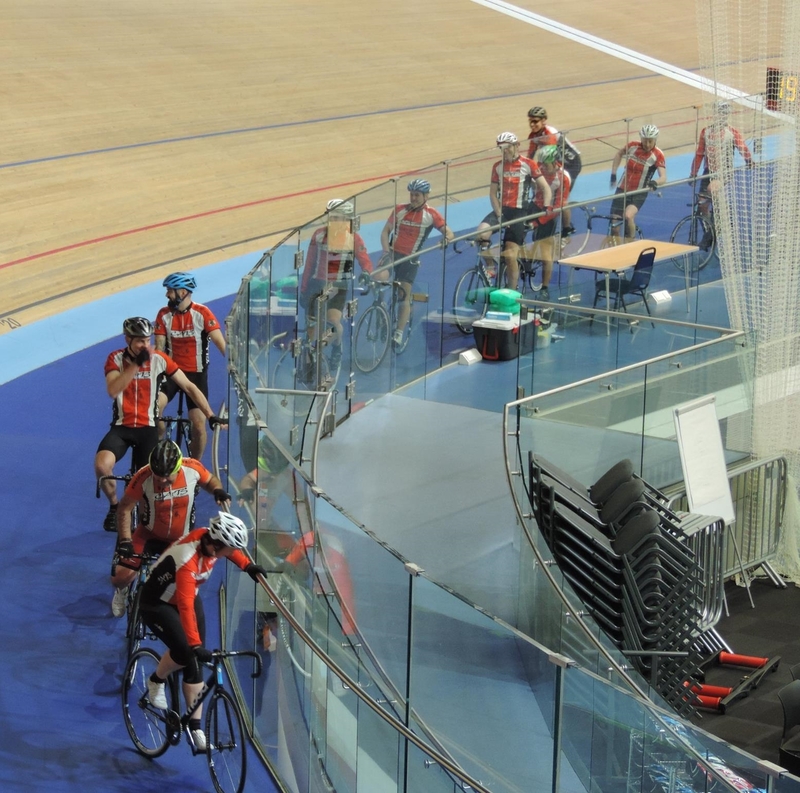 The mountain bike club I run traveled to Derby on Sunday to have a taste of life on a velodrome. 12 members of CATS MBC traveled to Derby arena on Sunday 13th March to take part in a two hour taster session coached by Welland Valley Whiz Kids mentor Kevin Nicholls. As the session went on every rider grew in confidence and we rode further and further up the banking. One or two riders even overtook the others by slingshotting from higher up. After a few well earned time out periods Kevin told us we would be finishing off with a 200 metre sprint lap. The ideal was we would all ride above the blue line and he would call us out 1 by 1. It was topped off by the cutting of the cake and celebrating Ian Manfield's birthday (3rd in the line up) who also organised the trip. A special thankyou goes to Ian as he had been working on this for about 5 months. After the session everyone, although tired wanted to know when we would be making a second trip to the arena to race the boards once again. Watch this space. Sometime in the Winter 2016 / 17 I am sure.